Studies show that eye injuries account for 40,000 emergency room visits a year. This is the equivalent of one accident every 13 minutes! Eye Care experts agree that the vast majority of those injuries would have been simply avoided by using proper eye protection. The majority of eye damaging accidents occur when playing recreational activities or working around the house. Youth are particularly at risk for eye accidents, which often happen during active play. We advise that children guard their eyes with safety glasses during all team and contact sports such as basketball or baseball. This will significantly limit their chances of a sports related eye injury. Encouraging your child to choose the protective glasses they like best will also improve the likelihood that they will be more willing to wear them. 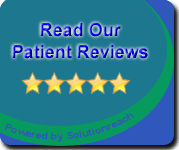 In order to get the appropriate fit and the proper measure of safety, ask an experienced optometrist for advice. Our professionals are happy to help you in finding the right pair of goggles for your child, depending on your child’s particular needs. If your child wears glasses, safety glasses can be customized with prescription lenses from your eye care center. 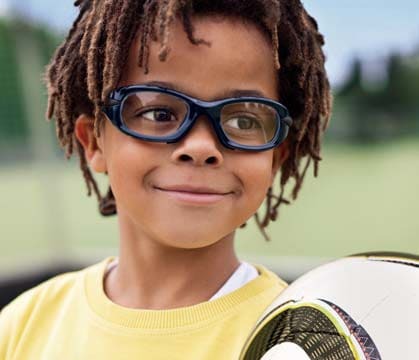 Ask about trivex or polycarbonate lenses if your child engages in heavy duty sports. Not only are they more durable, they are also lighter than standard lenses, which tends to be more comfortable. Don’t skimp when investing in a pair of protective glasses. It’s an easy way to protect your child’s sight!